Below is a screenshot of a central retinal vein occlusion. 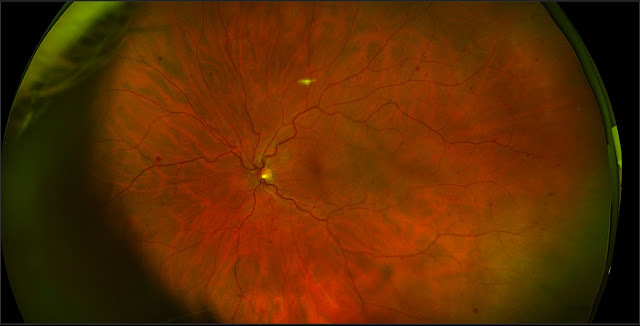 Note the peripheral scattered retinal hemorrhages and the dilated veins. The patient’s best corrected visual acuity was 20/20. The bottom photo was a CRVO in a 47 year old and his best corrected vision was 20/100.